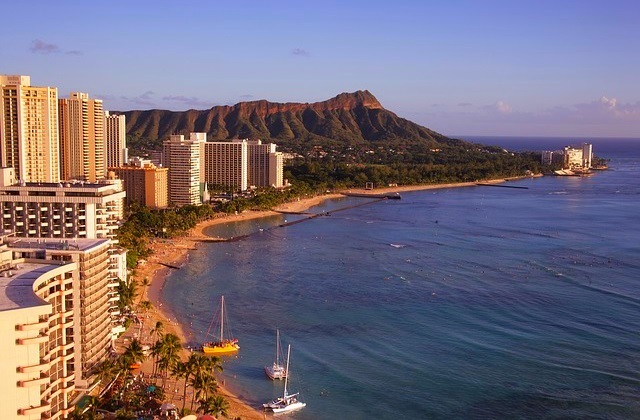 Flights to Hawaii for just $458 Return. Fiji $319 return. Phuket $319 Return. Jetstar is having a sale to Hawaii – even better prices than last week! Fiji and Phuket are also on Sale. Melbourne to Honolulu Flights $458 using POLi. $483 using CC. Sydney to Honolulu Flights $458 using POLi. $483 using CC. Brisbane to Honolulu Flights $498 using POLi. $523 using CC. Hobart to Honolulu Flights $535 using POLi. $560 using CC. Adelaide to Honolulu Flights $610 using POLi. $627 using CC. Perth to Honolulu Flights $781 using POLi. $807 using CC. Gold Coast to Nadi Flights $319 using POLi. $336 using CC. Sydney to Nadi Flights $379 using POLi. $396 using CC. Melbourne to Nadi Flights $478 using POLi. $503 using CC. Flights to Nadi – All Other Departure Cities. Melbourne to Phuket Flights $363 using POLi. $399 using CC. Perth to Phuket Flights $319 using POLi. $347 using CC.